When the French artist Maurice-Quentin de La Tour exhibited his monumental portrait of the magistrate and banking heir Gabriel Bernard de Rieux at the Paris Salon of 1741, he clearly intended the painting to be a manifesto for pastels’ ability to compete with grand portraits executed in oil. At 6.5ft tall, the portrait is the largest pastel made in the 18th century and the centrepiece of a new exhibition at the J. Paul Getty Museum in Los Angeles that looks at the production of 18th-century pastels and how artists supersized their pictures by piecing together sheets of paper. Until the 19th century, paper was produced in sheets generally no wider than a papermaker’s arm, so earlier pastellists had to piece together sheets to create large-scale compositions. Artists soon recognised the benefits, most notably the ability to make changes—a difficult task when working in pastel. 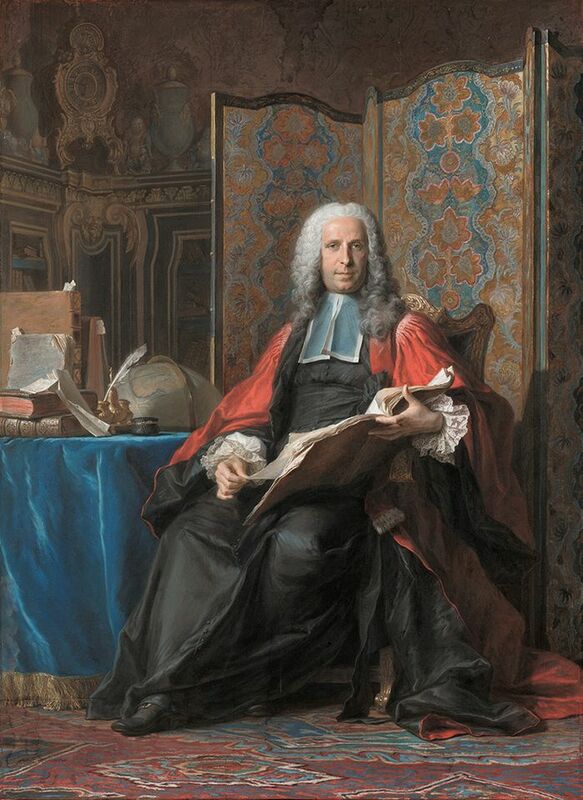 A piece of paper was pasted over the velvet tablecloth in De la Tour’s portrait, which suggests that the artist revised the composition. Emily Beeny, the Getty’s associate curator of drawings, says reducing the time busy subjects needed to sit for the artist “without sacrificing the lively particularity of [their] likeness” was another perk. They could work up the sitter’s face and hands from life and then paste the sheets “Photoshop-style onto the surface of a composition posed by an anonymous model”. Artists became experts at masking the paper joins, often beneath a paste-like application of wet pastel. Conservators take a conservative approach to treating pastels because the friable and powdery nature of the material “increases potential for inadvertently removing or altering media with handling and manipulation”, says the Getty’s drawings conservator Michelle Sullivan. They try to avoid interventions and when this is not possible treatment is minimal. This makes preventative conservation essential. Typical pre-exhibition conservation measures include adding spacers to frames so that the picture does not touch the glazing and working with art handlers to minimise vibration during transportation—even within the museum itself. Sullivan adds that it is important to maintain a controlled environment as fluctuations in humidity and relative humidity levels can cause the paper joins to lift.